Racing the clock this morning here at Kaiser Permanente where I’m currently working in the marcom department. Just found out that we’ve run out of the health plan member guides that I wrote last fall (with the help of several others). This is not good news, since we’ve now got to do another print run ASAP. At the same time, this was supposed to be an “interim” guide until the new one was finished. We’re close to having the new one ready, but will still need to print some more interims to use for now. Bummer. Writing these guides isn’t really the hard part, though it’s hard enough to wade through all of the specifics about each health plan. The hardest part is getting approval from everyone internally who has a stake in the piece – product management, account management, legal, compliance, editorial, etc. By the time we’re ready to print, it’s been circulated to these folks at least 5 times on average. Hugely complicated process to pull together everyone’s comments and frustratingly slow as well. That’s the deal, however, and there ain’t no changin’ it! Do my hands really look this old and puffy now, or is it my imagination? I swear to God that I didn’t use to have curled up, stiff little stubby fingers like this. I look at them and think “When did you turn into Vienna sausages”? What happened to the slim, tapered fingers that used to bounce over the piano keys and used to sail like the wind over the typewriter? Oh, there’s the problem right there. I said “typewriter.” First clue that I’ve been doing this writing thing WAY too long. Told my kids last night that I’d gotten a Smith Corona electric typewriter for my high school graduation present from my parents in 1974. “A what?” my youngest daughter asked. Jeez, it wasn’t THAT long ago. She’s not THAT young. Or maybe she is. Heck, she’s only 13, but even if she was 25, there’s a good chance that she wouldn’t be familiar with a typewriter. A quarter of a century without the “clack-clack-clack-ching” sounds of my old Smithy. Can you believe it? I remember how I transitioned from being a hard-core typewriter geek into a computer-loving maniac. Started as a journalist who didn’t mind pounding the hard manual keys of the Royal that my parents owned. Found it even kind of romantic in fact, fancying myself as Hemingway without the bulls and the guns. Even chafed a bit (just a bit) when the newsroom switched to IBM Selectrics. “Doesn’t have the same feel as the Royal,” I complained, for less than a minute until I realized it had a built-in white-out capability and you could change fonts in seconds by pulling out one metal ball and sticking in another. See ya, Royal, I’ve got a new love and her name is Selectric. Nice. Several years later, when I started my first ad agency, I rented a Swintec Superwriter. This puppy was like typing on butter, my friends. Fast, smooth, feature-rich and with a sound that just flat out delighted my ears each and every time. The return bell was the sweetest peal you’ve ever heard in your life, like an angel from heaven was leaning down and tinkling a crystal clear “ting” right beside your ear. Spurred on by that little ting, the words would flow from my brain straight onto the firm, pushbuttons that swacked the letters hard as tacks onto the whitest paper I could find. I’m telling you I loved that machine, truly loved it. “You’ll get my Swintec when you pry it from my cold, dead non-sausage fingers,” I would chuckle, and I meant every word of it. At least that’s how I felt until my wife bought me my first Macintosh. There it was under the Christmas tree – a Mac 512K enhanced. Never did figure out what the “enhancement” was all about. But 512K – oh baby. What I could do with that puppy. The things that I could write. The crazy graphics I could make. The sounds I could hear from my new daisy wheel printer with the pre-holed paper. But something was wrong. For months, there it sat in its box in my office, waiting patiently until someone would open it up and let it perform like a dancing bear. I was afraid of it, I guess. It seemed like something from outer space. Something I couldn’t understand, nor see the importance of ever using. Why use something with such a tiny screen and a poor excuse for a keyboard when I could be riding my Swintec around the corral every day, or driving it on the Autobahn with the greatest of ease? Then one day, a friend of mine who was working with me for a bit, saw it sitting there in the corner. She pounced on it, like a hungry catwoman who’d seen something akin to a convention of mice with their minds on networking with one another, rather than paying attention to the dangers that were about to befall them. They weren’t paying attention to her, and neither was the Mac, so it was fair game in her mind and I gasped as she ripped open the box and pulled the little white machine out of its Styrofoam packing. There was no going back now. She gently set it up on my desk and ask me to leave for my lunchbreak. When I returned, I opened the door to the sounds of clattering that I didn’t recognize. It wasn’t my Superwriter, my Selectric, my Smith Corona, nor my Royal. It wasn’t the Canon Wordstar that my wife had originally tried to excite me with. No, it was my Mac 512K enhanced, and it was pushing out paper through the matching daisy wheel printer like a madman possessed. The 27-year-old speechwriter heard round the world! Who REALLY made the Muppets famous? Recently, I saw an episode of Mad Men on cable, and it sent my head spinning back in time. I worked in advertising in the Eighties, and Mad Men takes place in the Sixties. But this particular blog starts a few years even before that, in the late Fifties. Way back then, there was a Washington, DC advertising agency called Kal, Ehrlich & Merrick that was the largest in the D.C. area. They had more clients than they could handle and life was good, especially for one of the partners – Alvin Ehrlich. By the way, K-E-M (as they were called) later made their way into the annals of advertising by virtue of the fact that they created the character of Ronald McDonald. True! And their first Ronald on the television commercials they produced was none other than Willard Scott, who went on to greater fame (hard to believe) as the beloved weatherman on NBC’s Today Show for many years. But from 1957-1961, K-E-M produced about 300 short commercials (10-seconds each) for a client called Wilkins Coffee. A regional coffee manufacturer, Wilkins was loved by those who knew about it, but it never gained the national reputation that some felt it deserved. There was one thing that did put Wilkins on the map, however, and it was largely thanks to the creative genius of the folks at Kal, Ehrlich & Merrick who, more or less, discovered the talents of a young man attending the University of Maryland at that time. The student had a knack for puppetry, of all things, and had come up with the idea of using two core characters to basically “argue” over a variety of topics, all of them tied in some way to Wilkins Coffee. 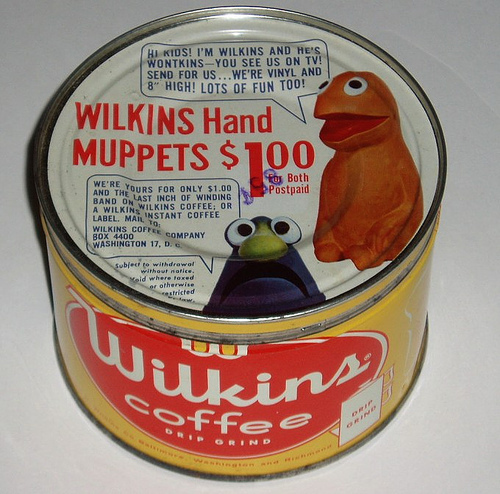 He called them “Wilkins and Wontkins” and the K-E-M commercials that were produced with his creations were a huge success on the East Coast. By the early Sixties, the company stopped making the commercials and Henson later went on to find his real fame, which we’re all familiar with. The story would have ended there, but for me personally, there’s a historical tagline that follows. In 1987, I was Asst. Creative Director at Ehrlich-Manes Advertising in Bethesda, Maryland – an agency that Alvin Ehrlich started after leaving Kal, Ehrlich & Merrick. Wilkins Coffee was still one of Alvin’s accounts and I had the great fortune to work on some NEW Wilkins Coffee commercials that year. The head of Wilkins Coffee came to our creative department when we were brainstorming ideas and said “well, we have these old commercials on a reel from the 1950s – could you use them in any way?” I was astounded to see what Henson had done some 30 years earlier, and did indeed end up using them in two spots that we produced in 1987. I was the copywriter and co-producer on the spots, along with Lee Blom who was the Creative Director at Ehrlich Manes in those years. I believe that Ryan Schnare was the director and actually did the shooting. We auditioned a number of actors at the old Ehrlich-Manes building in Bethesda, and I ended up hiring a local male talent who’s name escapes me (Paul someone, I think) and a woman out of New York to play the parts of the married couple. I’d like to tell you that the new commercials were a great success, but Wilkins didn’t spend very much on the media buy and they didn’t get much airplay in the D.C. area, or anywhere else. I still have copies of those 1987 commercials on videotape somewhere, but honestly the real jewels are the 10-second spots that Henson and K-E-M originally created for Wilkins in the late Fifties and early Sixties. I believe it’s important to note that Henson was not the sole creative force behind these commercials – the creative team at Kal, Ehrlich, Merrick was involved as well, and without that agency, these spots would never have seen the light of day. K-E-M deserves recognition for that, as well as having been the original creators of the Ronald McDonald character. As far as Alvin Ehrlich, he was a legend in Washington, D.C. advertising circles and truly loved the business like no one I’ve ever met since then. He was also a cranky old curmudgeon when I knew him, but one of the coolest guys I’ve ever run across. Alvin passed away in 1989 at the age of 78, I’m sorry to say. But I’ll share more stories about him in future blogs and I hope you’ll come to admire him like I did, as well as get a few laughs from his crazy personality. Jingle jangle – a return to the old days? Who created advertising jingles and why should we care? Most historians say General Mills was the originator of the first real jingle, when it created a song to promote Wheaties back in 1926. Sales for the cereal had been suffering and General Mills was thinking of discontinuing it. But on Christmas Eve that year, radio listeners were treated to a new jingle called “Have You Tried Wheaties?” by the Wheaties Quartet. As a result, sales skyrocketed and Wheaties soon found its rightful place on the nation’s breakfast tables, where it has remained ever since. Using the jingle which asked “Have You Tried Wheaties? 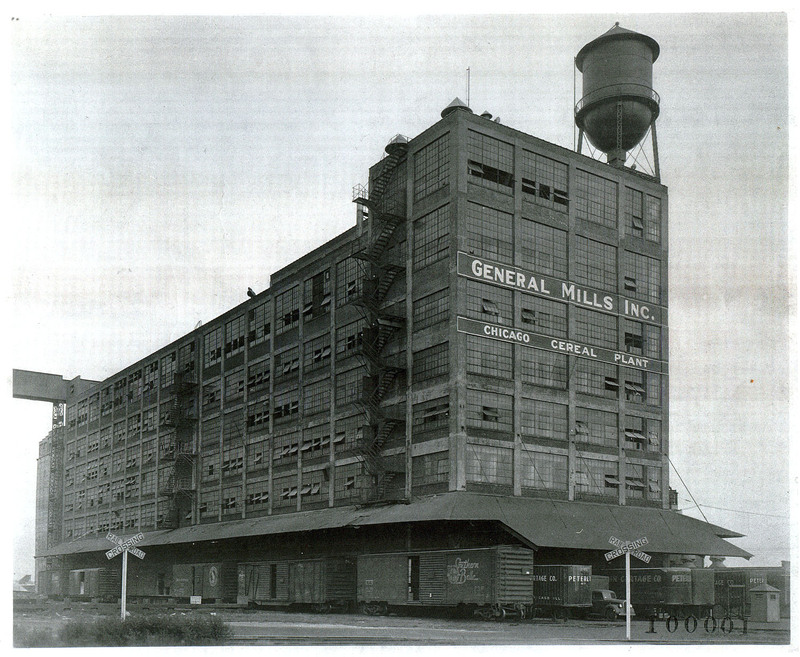 ” allowed General Mills to skirt NBC’s prohibition of direct advertising at that time. (Advertising wasn’t allowed during the earliest days of radio from about 1922 to 1930.) Because it wasn’t a hard sell tactic – it was simply a question – the jingle was approved by the censors. General Mills was thus able to get the brand’s name embedded in the heads of potential customers without trying to actually sell it. Sneaky, eh? Soon the jingle movement took off and hundreds of companies began trying this new approach to advertising. By the time of the economic boom of the 1950s, these catchy “mini-tunes” were reaching their artistic peak. Here’s the Wheaties radio spot, followed by some more early advertisements, courtesy of “Aleena911” on YouTube. Advertisers used jingles to promote all types of branded products, such as breakfast cereals, candy, soda pop, processed foods, tobacco and alcoholic beverages. Also jumping on the bandwagon were automobiles, personal hygiene products, and household cleaning products, especially detergent. But as we moved into the Eighties and Nineties, advertisers began to move away from original jingles and began using popular recorded songs to promote their brands. Soon, the songs we sang along to on the radio began to be applied to products, crossing into the territory that jingles had once dominated. That trend continues today, but interestingly, we may also be starting to see a resurgence of custom jingles. The reason – businesses are finding them to be a more affordable option for their advertising dollars. The costs of licensing preexisting music (such as those radio hits) has started to quickly push those tunes out of the reach of many companies. There’s a million of ’em. And there may soon be a million more on the way. Everyone loves music, in one form or another. Your preferences may run toward classical, while mine run toward jazz, and Sally Jane loves classic rock, while Bobby Ray loves hip-hop. But there’s always something about that rhythm, rhyme, tone, beat, melody, harmony, cadence and scales that grabs our attention and makes us pay attention. And if you’re paying attention to the music you love, then you can be sure that others on the planet are digging it too! Of course, this isn’t really anything new. Background music began gently accompanying product advertisements back in 1923, about the time commercial radio came to the public. Jingles gradually evolved, but the first one was probably from General Mills, which produced the world’s first singing commercial. At the time, that advertisement was a huge success – customers loved it – and it literally saved Wheaties from failure because of its previously dismal sales. In 1929, GM’s advertising manager Sam Gale observed that an astounding 30,000 of the 53,000 cases of cereal that they sold were in the Minneapolis-St. Paul area, the only location where “Have You Tried Wheaties?” was being aired. 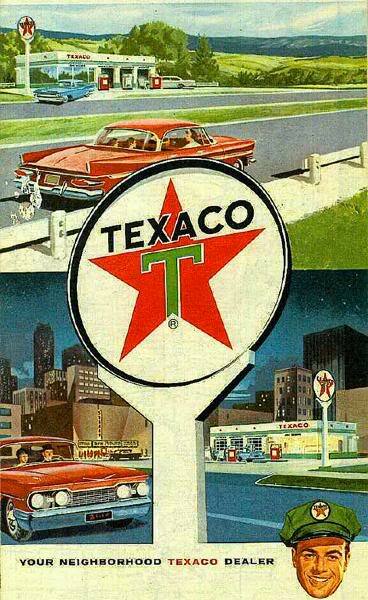 GM then changed tactics entirely and bought nationwide commercial time for the advertisement. The result – sales skyrocketed and the now incredibly popular cereal was saved! Next post – how companies today are taking music marketing to the next level.